The Utah STEM Foundation has partnered with industry sponsors to support computer science education and entrepreneurship opportunities in the state. 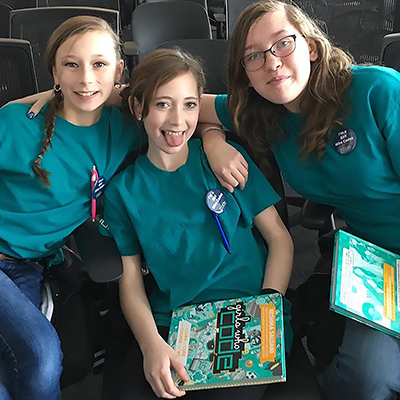 Offered in partnership with Carbonite, Comcast, Centeva, and Recursion to benefit Utah’s Girls Who Code (GWC) clubs, the Utah STEM Foundation Entrepreneurial Challenge focus on GWC projects created during the 2018-2019 school year. Awards in four categories will be given to students who best address issues facing society today such as social, civic engagement, environment, and others. Participants will pitch their projects, emphasizing why the project was created and its anticipated impacts. Awards will be accompanied by grant funds for scholarships, equipment, field trips, or the expansion of school computer science programs. Finalists will be announced on April 8 and awardees will be recognized during a ceremony on April 25, 2019. Detailed application guidelines, timelines, rubrics, and instructions are available here. Girls Who Code encourages female students to pursue their interests in computer science education. Girls Who Code is an international nonprofit organization working to close the gender gap in technology and change the image of what a programmer looks like and does. Through their programs, they are leading the movement to inspire, educate and equip young women with the computing skills to pursue 21st-century opportunities. Since its start in 2012, Girls Who Code has reached over 90,000 girls in the United States.